Communication is everything in business and in all of our relationships. Simply put, say what you mean, say it clearly, and say it with respect. Speaking clearly can sometimes be a problem since not everyone actually takes the time to improve in diction or word usage. For the best results, try practicing speaking in front of a mirror and recording yourself for playback. The last perquisite is respect. Never disrespect someone that you just met. First impressions never really go away, so make an effort to present yourself as a confident and respectful business associate. Together In trying to improve your own communication, beware of a defensive posture or negative voice inflection. Once a person goes on the defensive, the conversation tends to spiral into oblivion. Make sure that you use a friendly and welcoming posture, with open arms and a smile. If you sense yourself taking on defensive gestures or even resorting to a defensive tone (perhaps provoked by the other person) then eliminate those telling signs. Don’t let emotion overpower good judgment. In fact, the misreading of body language and tone of voice is one of the most common problems in the breakdown of communication. Even if you are saying something agreeable, if you show physical signs to the contrary, your message and your honesty will come under suspicion. Remember that negative and positive body language comes across in any language and in any circumstances. If you are trying to get someone to open up then try using open-ended questions rather than yes or no interrogations. When reviewing your own tactful manner analyze how you approach people. Do you bully them with close-ended questions or do you ask them in a positive manner how the both of you can make necessary changes to get a project, for example, moving more efficiently? 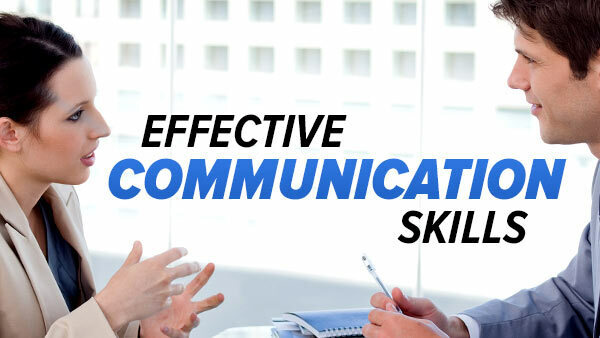 The more effective you can be with your communication the more successful you will be – personally and professionally.